string(31) "Kirkland Public Safety Building"
string(41) "Kirkland Public Safey Building SQUARE.jpg"
string(64) "public://projects/list/Kirkland Public Safey Building SQUARE.jpg"
The City of Kirkland took a distinctive approach by purchasing an existing 100,000 SF commercial warehouse building, then adaptively reusing the facility to house their Police, Corrections, and Municipal Court services and staff. 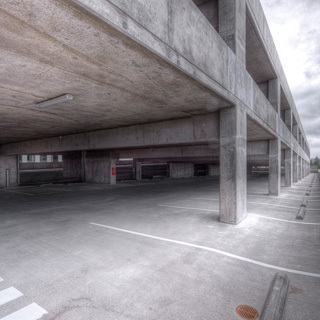 The standard concrete tilt-up construction was upgraded to meet essential facility requirements. The building houses jail cells, a firing range, courts, public meetings spaces, and police functions for the growing city. string(42) "Kirkland Public Safey Building FEATURE.jpg"
string(69) "public://projects/featured/Kirkland Public Safey Building FEATURE.jpg"
string(31) "NW Airplane Hangar 1 SQUARE.jpg"
string(54) "public://projects/list/NW Airplane Hangar 1 SQUARE.jpg"
Far from a utilitarian industrial structure, this private airplane hangar combines functionality and cutting edge design. The attention to detail in the exposed structural frame emphasizes bold design of this 35,000 sf building. Soaring cantilevers and expansive use of glazing lend a dynamic element to what is normally a building with limited expression. 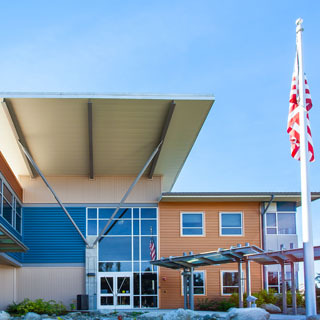 The 2030 Building Challenge was accomplished by delivering a facility that is approximately 80% more efficient than the 2009 IECC requirements for metal buildings. string(31) "NW Airplane Hangar FEATURED.jpg"
string(58) "public://projects/featured/NW Airplane Hangar FEATURED.jpg"
string(47) "Thurston County Tilley Road Campus Improvements"
string(58) "Thurston County Tilley Road Campus Improvements SQUARE.jpg"
string(81) "public://projects/list/Thurston County Tilley Road Campus Improvements SQUARE.jpg"
The Thurston County Tilley Road Campus Improvements project consists of three new buildings, including an emergency operations center, administrations office building, and a pre-engineered vehicle storage building, as well as a feature courtyard connecting existing portions of the campus with new. 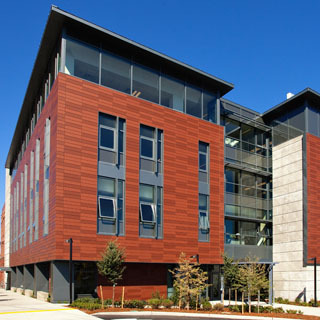 Between the three buildings and site structures, building materials range from wood to steel to concrete to masonry giving the campus and eclectic mix of textures. All of the buildings feature unique entry canopies and exposed structural elements. The 12,000 SF Emergency Operations Center features exposed glulams with car decking and an open layout for programing. The 3-Story, 25,000 SF Administrations Office Building features exposed structural steel and concrete with a basement daylighting to the courtyard. Along with an array of canopies and sunscreens surrounding the building, the roof and floors contain various shapes and profiles giving the building a unique look from every angle. The central courtyard contains elevated steel bridges with cantilevered canopies which provide protected but open access between buildings. Cantilevered concrete stairs provide access points to the bridges and a concrete fountain and pool create an inviting gathering space for campus employees. string(59) "Thurston County Tilley Road Campus Improvements FEATURE.jpg"
string(86) "public://projects/featured/Thurston County Tilley Road Campus Improvements FEATURE.jpg"
string(38) "University of Washington Tacoma Campus"
string(38) "University of Tacoma Campus SQUARE.jpg"
string(61) "public://projects/list/University of Tacoma Campus SQUARE.jpg"
Located in Tacoma’s Union Station neighborhood, the original phase of construction for UW Tacoma involved the adaptive reuse of several historic, multi-story masonry industrial warehouses that were originally constructed in the late 1800’s. 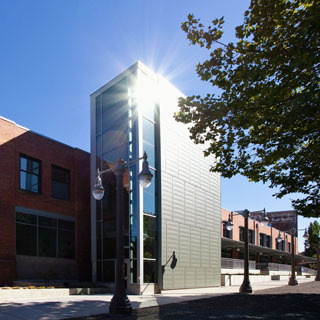 The 126,000 SF renovation and seismic upgrade of six industrial warehouse buildings, along with the new Library addition, dramatically transformed the downtown Tacoma area. The program layout gutted much of the interior of the building, providing 5 story tall atriums and a unique learning environment, all the while maintaining the historical significance of the exterior facades. Phase 2 continued to expand the campus, and provided additional state-of the art facilities. Six more multi-story unreinforced-masonry warehouse buildings – the Dougan Building, Cherry Parkes Building and the Mattress Factory Building, totaling nearly 160,000 SF – were renovated and seismically upgraded. The new Science Building is a 57,361 SF three story building, constructed of a concrete pan joist system with concrete shear walls. The Keystone Building is a 10,946 SF Auditorium and office facility with a composite steel floor system and steel roof joists. string(39) "University of Tacoma Campus FEATURE.jpg"
string(66) "public://projects/featured/University of Tacoma Campus FEATURE.jpg"
string(32) "Gilmartin Residence, Tiburon, CA"
Located at the top of a hill in Tiburon California, this home takes advantage of an amazing view that overlooks Richardson Bay and the Golden Gate Bridge. The project features daring roof overhangs around the entire perimeter and at multiple elevations. The main entry features the largest overhang, with a 21-foot cantilever that tapers down to 1-1/2” thick at the edge. 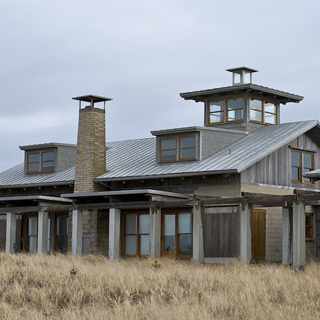 Clerestory windows below the high roof flood the home with natural light, while cantilevered steel columns supporting the roof allow it to "float" above the walls. The landscape design required extensive site structures, including several types of complex water features ranging from infinity edge reflecting pools to cascading terraces, as well as a tennis court with adjacent trellised observation areas, support for large sculptures, stone clad screen walls, serpentine retaining walls, swimming pool and a spa. 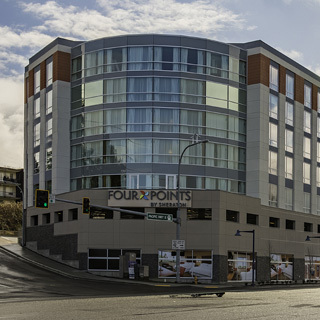 string(29) "Four Points by Sheraton Hotel"
The Four Points by Sheraton hotel consists of a new 274,000 SF, five-story, 225-room hotel with 157 parking stalls. The structure features post-tensioned concrete parking decks, an outdoor pool and patio, fitness center, and 6,000 SF of conference space. 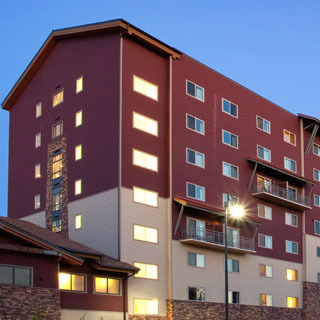 The upper hotel portion of the structure is constructed out of light gage metal stud framing utilizing Sure-Board sheathed bearing walls for lateral resistance. The lower parking levels are dug into the eastern hillside, creating significant design challenges. PCS worked closely with the other design team consultants and these efforts resulted in an independent shoring wall that allowed the architect and the design the flexibility needed to achieve the owner’s programming requirements. 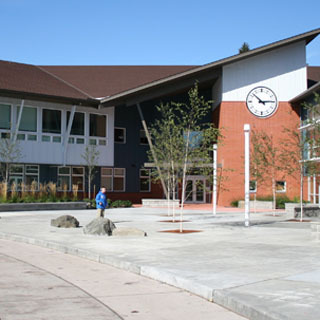 string(35) "Bainbridge High School Building 300"
string(49) "Bainbridge Island High School BLDG 300 SQUARE.jpg"
string(72) "public://projects/list/Bainbridge Island High School BLDG 300 SQUARE.jpg"
The Building 300 Classroom (24,000 sf) and Gym Additions (43,000 sf) were framed with steel, concrete, and masonry. The curved roof forms added a dynamic element to the existing campus. The Classroom Addition framing layout provided maximum future flexibility for the Science curriculum and the open Gym lobby and upper floor seating area create an inviting assembly area for campus activities. 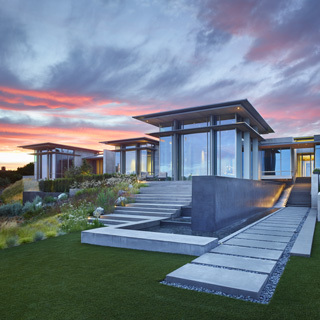 Built along the shore of the Long Beach Peninsula, Replinger Hossner Osolin Architects designed this residence to gracefully weather the many Pacific Ocean storms by melding it into the grass covered dunes. The floor to ceiling west windows provide wide views of the sea but can be protected by sliding barn doors when extreme weather is expected. The open two-story with loft living space is separated by hallways on each side from the more private bedroom wings. Photography by Replinger Hossner Osolin Architects and Michael Moore. string(42) "Central Washington University Science Hall"
string(53) "Central Washington University Science Hall SQUARE.jpg"
string(76) "public://projects/list/Central Washington University Science Hall SQUARE.jpg"
The Science Building combines classic architecture with state of the art laboratory and teaching technology for the College of Sciences. 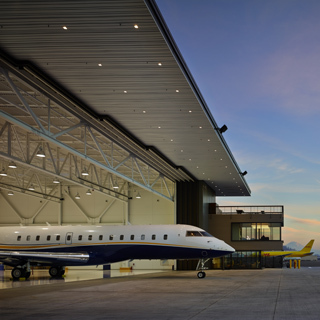 The 130,000 square foot, three-story concrete structure utilizes a concrete modified pan joist floor system that allows for future flexibility while maintaining low vibration characteristics required for sensitive laboratory equipment. string(25) "Curtis Junior High School"
string(36) "Curtis Junior High School SQUARE.jpg"
string(59) "public://projects/list/Curtis Junior High School SQUARE.jpg"
At over 140,000 square feet, Curtis Junior High School in University Place, Washington is the size of many High Schools in the region. As the only Junior High facility in the District, it was designed to meet future needs as well as to be a lasting design that could be the pride of this suburban community. Using a combination of steel and masonry construction, unique geometries within the building were brought to life, providing dynamic and useful teaching spaces for generations of students to come. 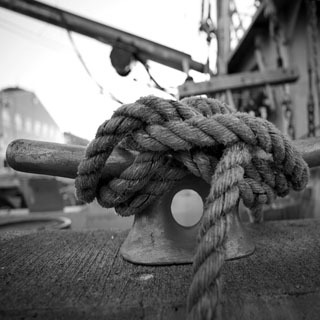 string(37) "Curtis Junior High School FEATURE.jpg"
string(64) "public://projects/featured/Curtis Junior High School FEATURE.jpg"
Fisherman’s Terminal is home to hundreds of working fishing boats that spend months on the open sea near Alaska. The 2 story 62,000 SF structural steel building is supported by an extensive pile supported concrete slab next to the water’s edge. In order to celebrate the traditional gable shapes of shoreline warehouses of the past, a unique system of mechanical equipment well slabs are hung from the steel bar joist roof structure - screened by the natural profile of the gable. This mixed use Port of Seattle facility contains offices as well as a seafood restaurant, fish market and terminal support services. string(30) "Portland Hilltop, Portland, OR"
Portland Hilltop House is a single-family home with a long rectangular plan. 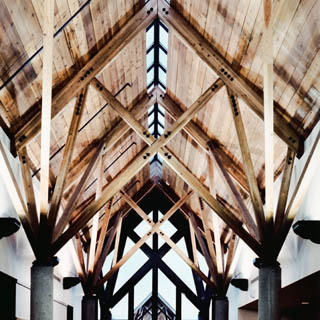 Although primarily wood frame construction, many structural steel elements are contained within its design features. 2-story floor to ceiling glazing bands march along the south elevation while an entry vestibule surrounded by glazing is covered by a large thin steel plate canopy that appears to float above it. The master suite angles off from the end of the main house and is supported on a single central column. The home has been featured in Architectural Digest and was the venue for the Portland Art Museum’s private event “Conversations with Tom Kundig”. string(27) "Spanaway Junior High School"
string(31) "Spanaway Junior High SQUARE.jpg"
string(54) "public://projects/list/Spanaway Junior High SQUARE.jpg"
The Spanaway Junior High School shares its site with Thompson Elementary School, a pilot project for the Washington Sustainable School Protocol. The new 100,900 SF junior high shares a ground loop HVAC system with its neighbor, uses renewable resource materials and light shelves. 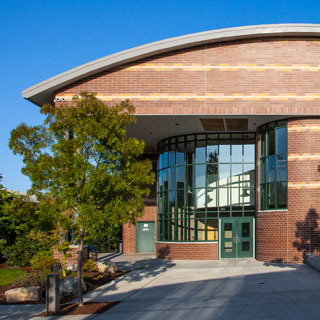 The school features three 2-story classroom wings, a gymnasium, auxiliary gym, and stage, which doubles as a music classroom opening to a large commons area and a library on the second floor with lots of natural light. string(44) "University of Washington Tacoma Joy Building"
string(55) "University of Washington Tacoma Joy Building SQUARE.jpg"
string(78) "public://projects/list/University of Washington Tacoma Joy Building SQUARE.jpg"
string(45) "University of Washington Tacoma Joy Building "
Built in 1892 during Tacoma's railroad boom days, the Russell T. Joy Building has been home to businesses that made candy, wood stoves, paper and gloves, as well as sold Studebakers. The two-story brick and heavy timber building received a third floor in the early 1900s after a fire gutted the interior of the building. 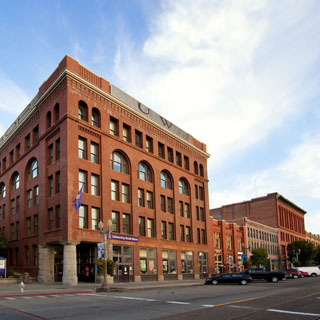 The modern day owner, University of Washington Tacoma determined to renovate and modernize the historic structure. Seismic upgrades provided new life, along with the addition of sixteen classrooms, seminar rooms, and two large lecture halls. 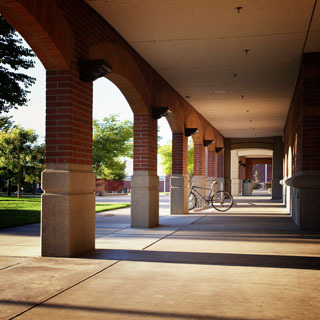 Shotcrete walls were added to stabilize existing brick and improve seismic performance while concrete topping over the wood framed floor was poured to meet University standards. The result is a modern 46,238 sq. ft. facility located along historic Pacific Avenue. string(45) "University of Washington Tacoma Tioga Library"
string(50) "University of Washington Tioga Library SQUARE1.jpg"
string(75) "public://projects/list/University of Washington Tioga Library SQUARE1_0.jpg"
The Tioga Library Building delivers five stories and 41,000 SF of steel framed library space, which is flanked by board-formed concrete core shear walls, and clad in glazed curtain wall and terra cotta rain screen. In order to minimize impact on the adjacent historic building and its foundations, drilled piers were provided beneath the new foundations at the basement. 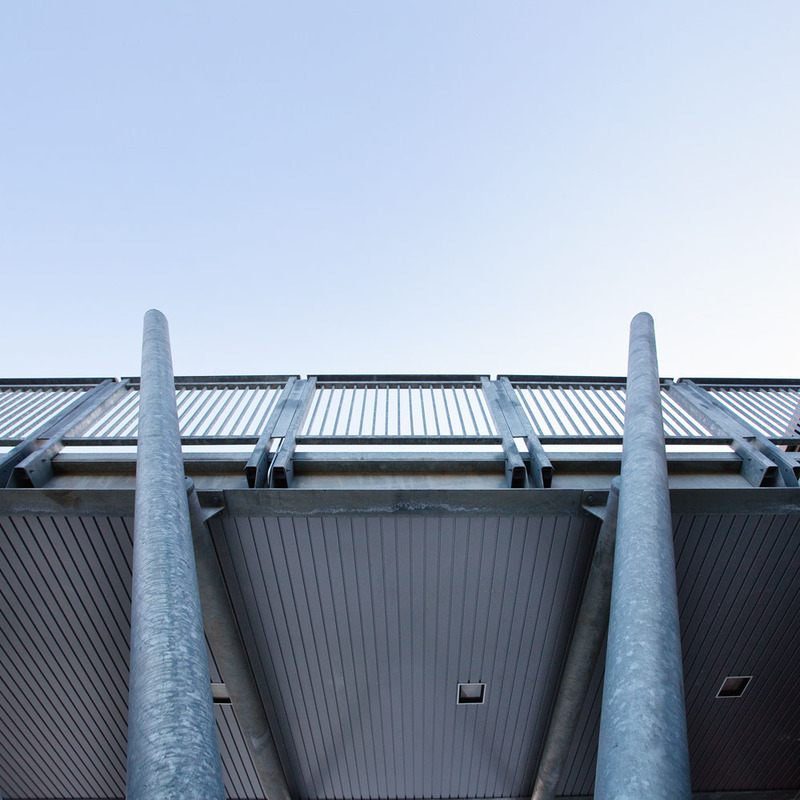 A steel framed skyway connects the new library space to the existing campus library by spanning over the historic railway corridor to a glass and concrete stair tower. Office space is provided at the fourth floor around the perimeter of a two story atrium that features natural day lighting from curtain wall exterior and skylight monitors. string(50) "University of Washington Tioga Library FEATURE.jpg"
string(77) "public://projects/featured/University of Washington Tioga Library FEATURE.jpg"
string(36) "University of Washington Tacoma YMCA"
string(47) "University of Washington Tacoma YMCA SQUARE.jpg"
string(70) "public://projects/list/University of Washington Tacoma YMCA SQUARE.jpg"
The University of Washington Tacoma in partnership with the YMCA of Pierce and Kitsap Counties constructed a new 3-story Student Recreation and Fitness Center on the UWT campus. 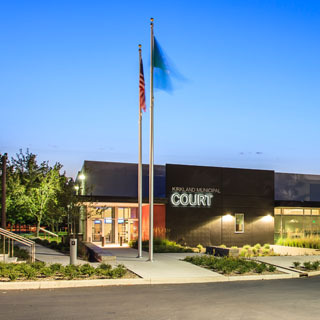 With over 73,000 square feet of space, the amenities include a rock climbing wall, full-size gymnasium, weight and cardio equipment, NCAA regulation basketball and volleyball courts, a suspended indoor running track and fitness programs plus dedicated space for student programs, organizations and events. By selecting concrete shear walls as the lateral system, PCS was able to provide increased column spacing, which leads to large unobstructed views. 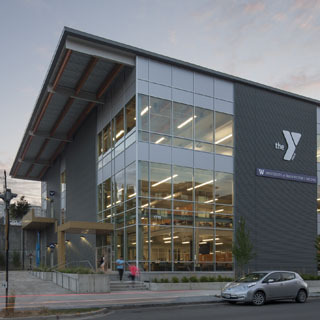 string(48) "University of Washington Tacoma YMCA FEATURE.jpg"
string(75) "public://projects/featured/University of Washington Tacoma YMCA FEATURE.jpg"
This Gig Harbor, WA waterfront residence incorporates exposed steel frames into its primary design focus. 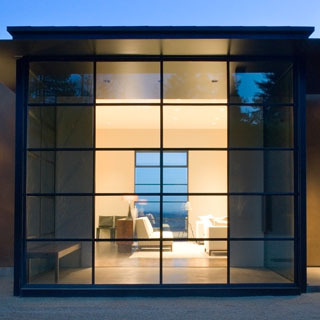 PCS was brought on board to design all the structural steel, and recommended utilizing the steel frames as the lateral system for the house, which allowed for a significant increase in glazing. David Hopkins, founder of Hoppet Design and Construction, has been designing and building homes for 25 years. Together with his business partner Dawn Gogel, they provide visionary, artistic and unique design/build services throughout the Northwest. PCS Structural Solutions attention to detail has resulted in a deep portfolio of satisfied architects, builders, and homeowners – both locally and internationally. string(41) "Gary and Carol Milgard Family HOPE Center"
string(46) "Milgard Family Hope Center Lakewood SQUARE.jpg"
string(69) "public://projects/list/Milgard Family Hope Center Lakewood SQUARE.jpg"
string(43) "Jim and Carolyn Milgard Family HOPE Center "
The Gary and Carol Milgard Family HOPE Center in Lakewood, WA provides services for users of all generations, from toddlers to senior citizens. 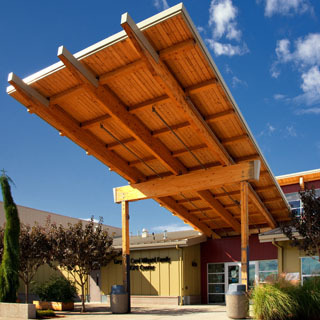 The 27,000 SF exposed steel, wood and concrete structure provides shelter for educational, technology, teen center, and art spaces. Additionally, food service facilities and a precast concrete gymnasium were incorporated into the building program. Elementary Students from Lakeview HOPE Academy enjoy use of the building during the school day.